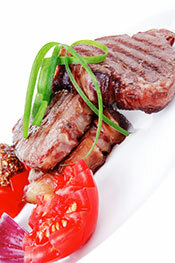 Over recent years, ketogenic diets have become increasingly popular. The diet is otherwise known as ‘keto,’ and it’s high in fat and extremely low in carbs. But there are a few things to be aware of, such as the benefits, best foods to eat, foods to avoid, possible dangers and side effects. This guide will show you all of these things. Also, the guide provides sample keto meal plans, snack ideas, and guidance how to implement the diet in a healthy way. Ketogenic diets are a way of eating that focus on strictly limiting carbohydrate. And if implemented well, they can be incredibly beneficial. By and large, those following a keto plan eat higher amounts of fat, moderate protein, and a very small amount of carbs. As long as you keep carbs very low, then keto is possible on a range of macronutrient ratios. How do keto diets work? When you keep carbs very low for an extended period, the body enters nutritional ketosis. Ketosis refers to a state in which the body starts burning fat for energy rather than carbohydrate. On a typical high carb diet, the body burns glucose. In contrast, the ketogenic diet encourages the body to start using ketones for fuel. Ketones are a type of molecule that our liver produces during times of carbohydrate restriction (or overall low food intake). The human body can use both glucose and ketones for fuel. Respected low carb researchers Jeff Volek and Stephen Phinney advise aiming for an upper limit of 50 grams total carbs. Below this number is also widely accepted as a ketogenic diet (1). Generally speaking, you can eat this amount of carbohydrate and still be in ketosis. However, everybody is different, and the exact number will depend on the individual – it might be 35g, or it might be 70g. How can I tell I’m in ketosis? If you want to be 100% sure, then you can use a ketone breath analyzer or a urine strip to measure for ketones. Key Point: A ketogenic diet is a way of eating that restricts carbohydrate, has a moderate amount of protein, and a high-fat content. Keto wouldn’t be so popular if it didn’t have benefits—and there are many of them. As ketogenic diets cut out sugar and carbohydrates, blood sugar levels tend to fall. In recent times, many people with diabetes are successfully managing their condition using a keto plan (2). Have you ever tried a low-fat diet before? 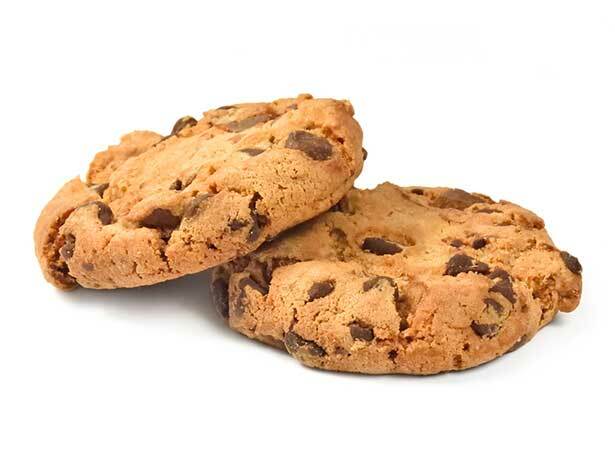 If you have, you may remember how difficult it can be to control food cravings. However, keto diets encourage satiety due to their higher fat and protein content (3). Triglycerides are one of the major risk factors for cardiovascular disease. Carbohydrate restriction leads to lower triglyceride levels (4). Ketogenic diets can be therapeutic for a variety of brain conditions, whether severe chronic diseases or mild problems. Research shows that being in ketosis has potential benefits for brain tumor cases, depression, epilepsy, and migraines (5, 6). Lower intake of carbohydrate combined with higher fat consumption tends to increase high-density lipoprotein (HDL) levels. Cardiovascular researchers accept that higher HDL levels are protective against heart disease (7, 8). In several studies directly comparing low-carb and low-fat diets, diets low in carbohydrate promote more significant weight loss. 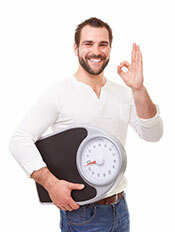 This weight loss is likely due to greater satiety from foods higher in fat and protein (9, 10, 11). Some cancer cells have a preference for glucose to fuel growth. And while they can still grow in carbohydrate-restricted conditions, some studies suggest that ketogenic diets may help prevent/fight certain cancers. At present, clinical trials are ongoing (12, 13, 14). Note: This is still very early science and no diet should be considered as an alternative to conventional treatment. Further research is necessary, but ketogenic diets may help by supplying the brain with ketones, which it can use for energy. Alzheimer’s patients have impaired glucose metabolism, and studies show ketone levels positively correlate with memory performance and cognition (15, 16). High blood pressure (hypertension) is a significant risk factor for cardiovascular disease and stroke. Conventional advice may over-estimate the impact of salt, and excessive refined carbohydrate intake has a larger effect on blood pressure than sodium. Ketogenic diets naturally reduce refined carb consumption, and many following such diets experience a decrease in blood pressure (17, 18). And this last one’s pretty obvious. What sounds more appealing to you: low-fat crackers, skim milk, and a fat-trimmed chicken breast? Or steak, cheese, and some dark chocolate? Key Point: Ketogenic diets have a lot of potential health benefits, but we shouldn’t claim them to be a cure-all solution. Keto is also very sustainable because most of the food tastes delicious. What Foods Can I Eat on Keto? The first thing to remember is that despite having a ‘restrictive’ reputation, there are many things that you can eat on keto. Here are some tables showing a list of suitable foods. Milk contains too many sugars in the form of lactose, but aside from that most dairy foods are ideal. You can include all meat and poultry in a keto plan– preferably a wide variety of cuts, including bone-in meats. While any fat is technically suitable for a ketogenic diet, it’s better to avoid industrial vegetable oils. 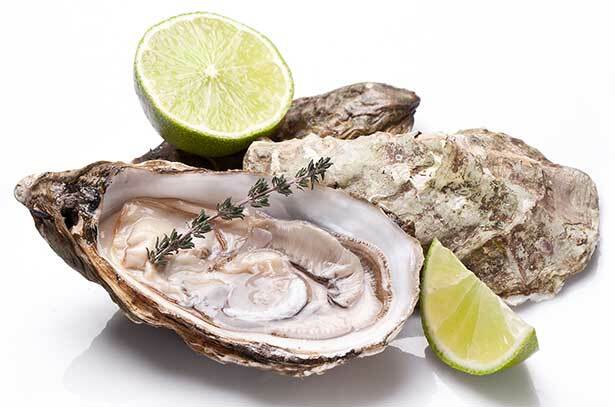 There are countless edible fish and here are some of the commonly available ones. Since ketogenic diets require carbohydrate intake to be very low, most fruits are unsuitable. However, there are plenty of low sugar fruits that are perfectly fine in moderation. 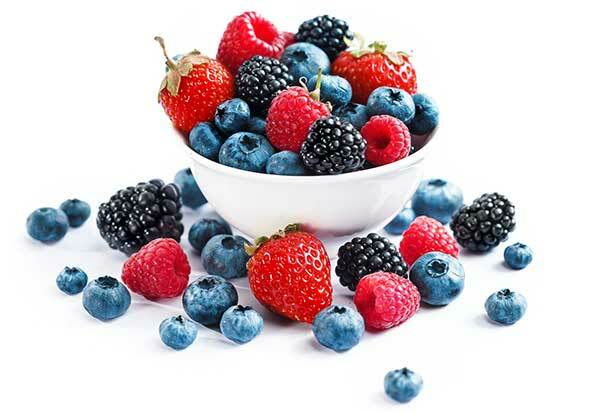 There are also many different types of berries which are okay in moderation. 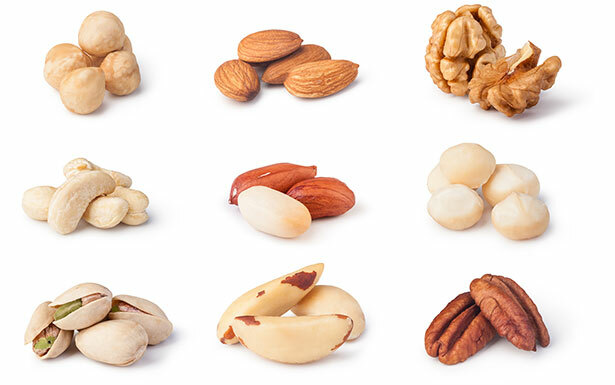 Most nuts are great for a ketogenic diet, but cashews, chestnuts, and pistachios are too high in carbohydrate. Personally, I’m not a fan, but seeds are also a reasonably nutritious option. Aim for about a handful / 1 ounce / 28 grams. Generally speaking, lower carb veggies should be the focus: cruciferous veg and leafy greens. The plants that grow above ground have the lowest carb count, while vegetables growing underground tend to have more. However, a small amount of below-ground vegetables should be okay if you factor them into your total carb count. Key Point: As shown above, ketogenic diets might restrict some foods — but there is still a great deal of choice. In addition to the above food groups, there are a number of convenient snacks which are suitable for keto. Berries and cream: Your choice of berries in a bowl with some heavy cream. 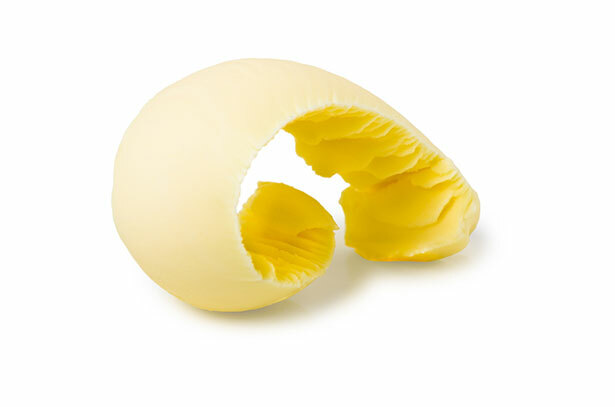 Boiled eggs: If you have any feelings of hunger, a few boiled eggs does a great thing for satiety. Celery with cream cheese: Spread some cream cheese on a few stalks of celery for some nutrients and fat-soluble vitamins. 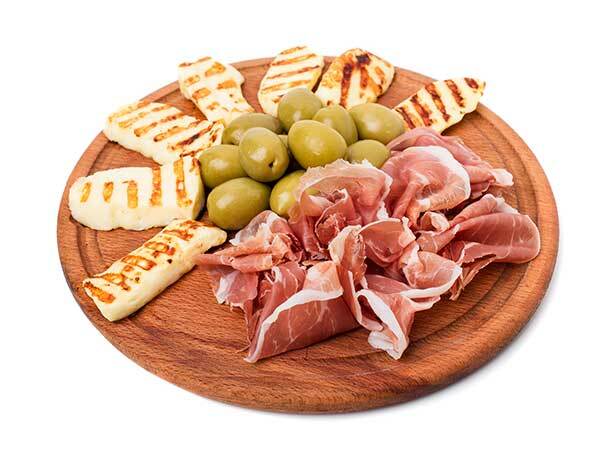 Cheese and Prosciutto: If you’re craving some finger-food, then cheese and prosciutto is an excellent option. Add a glass of red wine if you like. Guacamole salad: Mash some guacamole and add in your ingredients of choice. Keto milkshake: blend some coconut milk alongside some cacao and a natural (ish) sweetener such as erythritol. Another good option is to use fresh berries for a fruit milkshake. Mozzarella sticks: The website ‘Healthful Pursuit’ has some delicious looking mozzarella sticks made with almond flour. Pork rinds: Crispy pork goodness that you can easily make at home. Key Point: A ketogenic diet doesn’t only mean meat and vegetables. There are also dozens of tasty snacks you can make. Due to the nature of the ketogenic diet, carbohydrate content in food should be low — ideally below about 5% or so. Therefore, you need to restrict grains, starches, sugars and high-carb plant foods. Low-carb processed foods: they may be low-carb, but they’re usually full of additives. Not ready to give up alcohol? 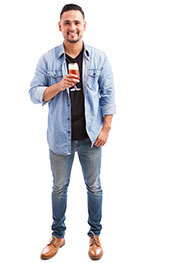 If you like drinking from time to time, then that is no problem – there are many low carb alcohol drinks out there. Spirits and dry red wine are two of the best choices. While it’s better to stick with nutrient-dense foods like meat, fish, and vegetables, many people like a treat from time to time. And if you want to be ‘keto’ yet still have a pizza, some bread, or even a piece of cake – it’s possible. There are many delicious low-carb recipes available for all of these things, and there are hundreds on Pinterest. Not sure on how you can put some meals together? Here are some breakfast, lunch, and dinner ideas for every day of the week. 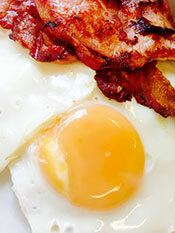 Bacon and Eggs: Several slices of bacon, some fried eggs, mushrooms, and a grilled tomato. Mackerel: A baked or steamed fillet of mackerel with some leafy greens sauteed in butter. Crustless Quiche: A crustless quiche recipe is an easy breakfast that also tastes delicious. Bacon and cheese make a great flavor combination. Omelet: A cheese and vegetable omelet using your favorite veggies. Boiled Eggs: Several boiled eggs, some cheese, and an avocado. Scrambled Eggs: Scrambled eggs with some meat and veggies of your choice. Ham, egg and cheese melt: A ham, melted cheese, and egg sandwich. While bread isn’t keto-friendly, you can use a low-carb bread recipe such as cloud bread. For more on keto breakfast recipes, please see here. Chicken Salad: Diced chicken, salad greens, cherry tomatoes, balsamic vinegar, and extra virgin olive oil. Finger Food: A handful of nuts, slices of cheese, and some berries. Cloud Bread Sandwich: A ham, cheese, and salad cloud bread roll. 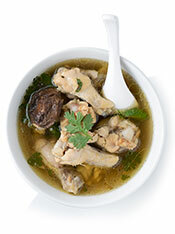 Chicken Soup: Chicken, stock, some cream, pepper, salt, and mushrooms. And if you want to eat it hot in the office, then it’s possible if you use a mini portable oven. Zoodle Carbonara: First, you need some zoodles, and then add cream, ham, egg, and seasonings. Tastes better warm! Beef and Tomato Soup: Simmer beef, onion, diced tomatoes, mushrooms, and herbs of your choice for about 1 hour. This meal can be reheated later if eating away from home. Low Carb Sushi Roll: Instead of using rice in the nori wraps, use cream cheese instead. Then add some sashimi of your choice (salmon tastes good!). Pork Chops: A pork chop cooked with onion and garlic, and some buttered asparagus. Cream Salmon: A fillet salmon covered in coconut cream cheese sauce, with some broccoli and mushrooms. Steak: A piece of steak with mushrooms, garlic, and green beans. Frittata: A cheese, mushroom and vegetable frittata. Sausages: Some (real meat) sausages, alongside some mashed rutabaga with butter and sauteed garlic and onions. Chicken Curry: Curries are a great meal for ketogenic diets because they are mainly fat and protein. All you have to do is skip the rice. Low Carb Pizza: Make a fathead pizza; it tastes great, and it’s reasonably healthy. For keto on the go, then look for any meat-based restaurants. A steak or piece of meat/fish along with some vegetables is suitable, and you can find restaurants offering this almost everywhere. There are two possible things to mention here, and these are ketoacidosis and hypoglycemia. Firstly, there is a lot of fearmongering about ketoacidosis and ketogenic diets. As previously mentioned, ketosis is a natural state in which the body starts to burn ketones (fats) for energy instead of glucose. In contrast, ketoacidosis is a potentially life-threatening condition when the body doesn’t make enough insulin and ketone levels become abnormally high. However, in low carb diets, the production of ketones is “regulated, controlled, and harmless” (19). The condition is otherwise known as diabetic ketoacidosis (DKA), and usually, results from poor management of type 1 diabetes which can lead to dangerous ketone levels (20). It’s very unlikely for a healthy person who produces sufficient insulin to experience ketoacidosis (19). However, if you suffer from diabetes then always consult your doctor and conduct thorough research before a dietary change. When first beginning a ketogenic diet, experiencing hypoglycemia (low blood sugar) is a possibility. 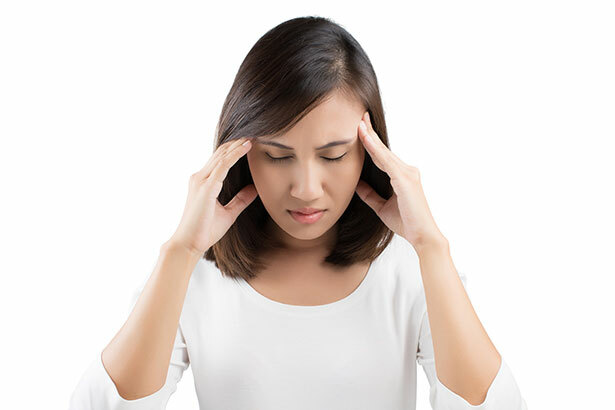 Hypoglycemia happens when blood sugar levels drop to extremely low concentrations (approx: <70mg/dl) and it can cause fatigue, lightheadedness, and dizziness (21). One reason is because of a huge drop in blood sugar levels in people who are used to having higher blood sugar. Hypoglycemia is a lot more common in people with diabetes or a certain degree of insulin resistance (23). While some suggest the solution is to raise blood sugar by eating some sugary food, I think that is ill-advised. As hypoglycemia usually occurs from high to low blood sugar swings, then all this does is make your blood sugar high again. And then the cycle continues. The key to getting past this is to reduce high blood sugar permanently, and a ketogenic diet can help in this regard. In the initial stages of a ketogenic diet, it may be helpful to eat regularly rather than fasting for extended periods of time. Hypoglycemia can be dangerous, so if you are experiencing it, then it may be worth consulting a low-carb friendly doctor. And this is especially the case if you have diabetes; for any medical issues, it’s better to be safe than sorry. Key Point: Potentially dangerous conditions such as ketoacidosis and hypoglycemia are possible for diabetics if care isn’t taken. People with diabetes should consult a doctor before making large changes to their diet. Many people report lower tolerance of alcohol on a ketogenic diet, sometimes dramatically so. Solution: Firstly, don’t drink too much or on an empty stomach. And if you’re just starting keto, then carefully monitor how you feel when you drink. When the body enters ketosis and starts burning fat (ketones), chemicals in the breath such as acetone may cause bad breath (24). Solution: Waiting; for many people, this bad breath only lasts for the first week or two of a ketogenic diet. While it persists, you can use breath fresheners to hide the scent. Some people may develop constipation on keto. Many people blame a lack of fiber for this, although, in truth, both too little and too much fiber could be an issue depending on the individual. Solution: First of all, constipation usually isn’t the result of not eating fiber – the cause is usually something you are eating. For example, many people have sensitivities regarding certain foods such as dairy, eggs, and nuts. Or maybe you are overdoing it on one of these foods. Either way, if you have recently increased intake of one of these foods, then experiment to see what may be causing the problem. If you can’t find any dietary reason, then increasing intake of leafy green vegetables may help. People new to keto often experience cramps, particularly in the legs and feet. Additionally, many people feel fatigue, tiredness, and low energy. Solution: These symptoms are usually the result of an electrolyte imbalance, especially concerning magnesium, potassium, and sodium. Don’t worry because it is common in the early stages of ketosis, due to the body releasing significant amounts of water (and salt) as carbohydrate intake (and insulin) drops. Make sure you are getting enough of these micronutrients. There are also greater needs for sodium on a ketogenic diet, so increase salt intake by liberally salting your food. Heart palpitations are another typical side effect in the first few weeks of a ketogenic diet. The palpitations could be due to mild dehydration or an electrolyte imbalance. Solution: Drinking more water to ensure adequate hydration, and increasing salt, magnesium, and potassium intake usually eases heart palpitations. However, as the cause can be any number of issues, then see a doctor if you want to make sure. Key Point: There are various potential side effects when starting a low-carb diet. Despite this, most are temporary, and you can avoid them through a well-implemented diet with sufficient electrolytes. There’s no perfect way of eating that fits everybody’s lifestyle and personal circumstance. However, keto is a healthy dietary system that focuses on real, nutrient-dense foods. Due to the potential side effects, make sure you research how to implement the diet successfully before you start. If you follow a well-implemented ketogenic diet, then weight loss, better energy levels, and improved health markers are very common.